Obituary for Steven P. Wolfe | Family Care Services, Inc.
New Waterford – Steven P. Wolfe, 69, of New Waterford, passed away on January 16, 2019, at Hospice House, Poland. Mr. Wolfe was born, June 2, 1949, in East Liverpool, a son of James and Maude A. Aeschbacher Wolfe. He graduated from McDonald class of 1967 and later from Kent State in 1990. Steve lived in New Waterford all his adult life, where for many years he was on the New Waterford Fire Department and was one of their first EMT’s. He was active in the Lions Club and received the highest honor of the Melvin Jones Fellowship Award 2005-2006 and was named Lion of the Year 1987-1988 and 2004-2005. Steve was also a youth umpire for the boys’ baseball and girls’ softball team for 25 years and was one of the first coaches of Little Rebel Football. He cooked at Camp Fredrick in the winter months for several years and served on the board of directors at one time. 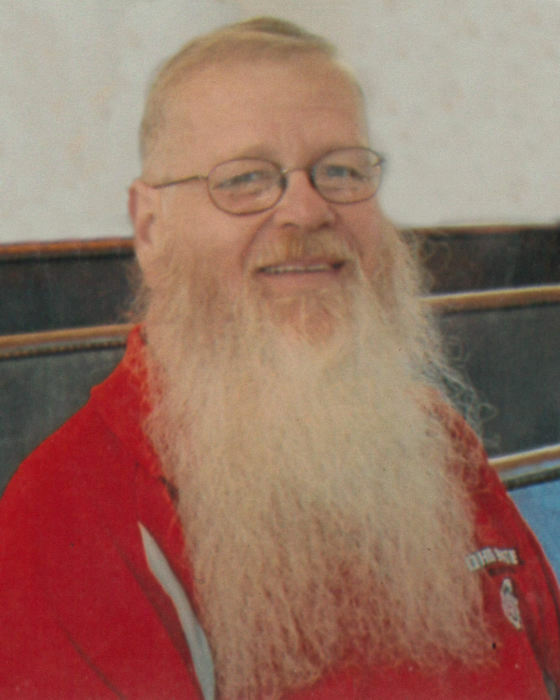 He was a member of the Zion Lutheran Church, New Waterford, where he sat on church council many times, taught Sunday School, and filled in as a lay leader when needed. He is survived by, his mother of Youngstown; his wife, the former, Norma Jean Hurst, whom he married, September 11, 1971; a brother, David Wolfe of Hubbard; a sister, Nancy (Bernie) Locke of North Jackson; three children, Jim (Pat) Wolfe of East Palestine, Leora Wolfe of Columbiana and Leah (Chris Oldaker) Wolfe of East Palestine. He will be sadly missed by all his grandchildren, two grandchildren, Macayla Barnhart and Cameron Wolfe of his home, as well as, Alisha and Ashlee Steeves, Jim (Brittney Hays) Buckius, Missy and Ray Davis, Christopher and Jeremiah Leland, Christine and Christopher Johnston; and great grandchildren, Maeson, James, Libbie, Kaden, John, Luke, Christopher, Adam, Jamie, and William. He was preceded in death by his grandparents, James and Caroline Aeschbacher and James and Ruth Wolfe; his father, James Wolfe, brother, Mark Wolfe; two great granddaughters, Brianna and Sierra Buckius; and a great grandson, Stetson Alan Ditmore. Calling hours will be from 6-8 p.m. on Friday, January 18, 2019, at Warrick-Kummer-Rettig Funeral Home, Columbiana and from 10-11 a.m. on Saturday, January 19, 2019 at Zion Lutheran Church, New Waterford. Funeral services will be held at 11:00 a.m. Saturday, January 19, 2019, at Zion Lutheran Church, New Waterford with Pastor Kari Lankford officiating. Burial will follow at Crest Haven Memorial Gardens, New Waterford. In Lieu of Flowers memorial donations may be made to Zion Lutheran Church, 46808 Church St., New Waterford, OH 44445 or to Warrick-Kummer-Rettig Funeral Home, 28 North Main St. Columbiana, OH 44408.